We have a large assortment of Dart Little Blocks with cosmetic issues. They were not good enough to make the cut at the major retailers but nonetheless they are excellent new blocks. The issues are porosity in the casting, sometimes around the fuel pump boss or the pan rail or even the deck surface. 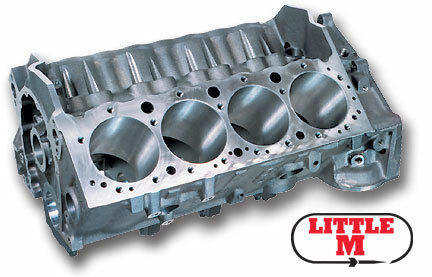 The Little M blocks with ductile caps start at $1800 and the steel cap version will be $2150. This is a huge savings for a new block. Give us a call to discuss your needs at 305-893-5018. I also have these in Big M's and the Ford Iron Eagles.